1. The finisher's certificates for the Fox Valley Marathon are up! Bonus: My official time is a few seconds faster than I thought. I'll take what I can get. 2. I'm not the only one in my household that love pumpkin. Napoleon is a fiend. Any time I open a can, he comes running because it might be pumpkin and I might let him lick the can. 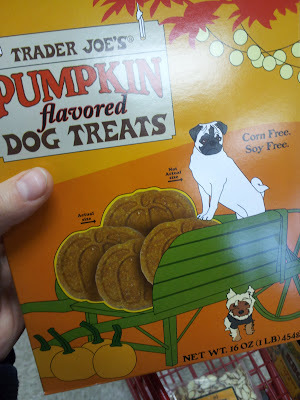 So Tim and I bought him his own pumpkin treats at Trader Joe's. I can't decide if the dog loves the treats or the real pumpkin more. Waffles comes running when she hears the fridge door. Mostly because we have a poorly organized fridge, and i frequently drop and spill things. 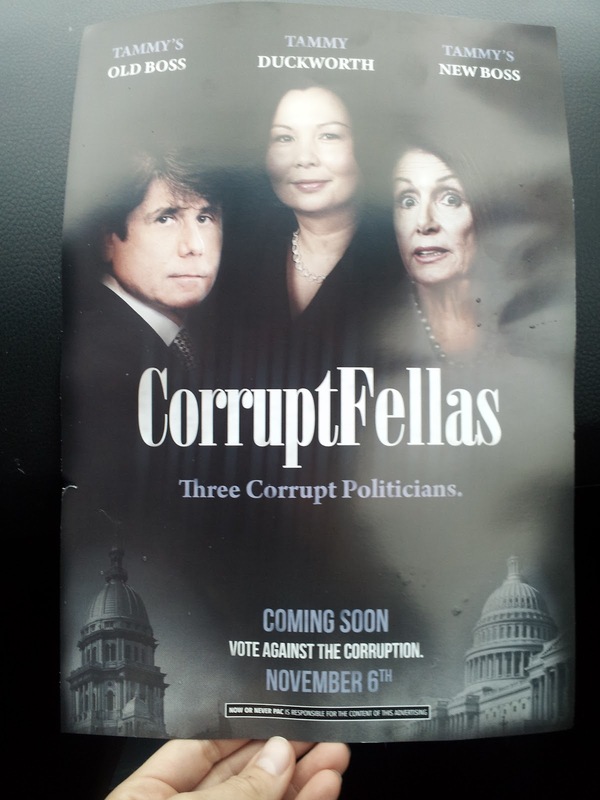 That tammy duckworth postcard is PRICELESS!